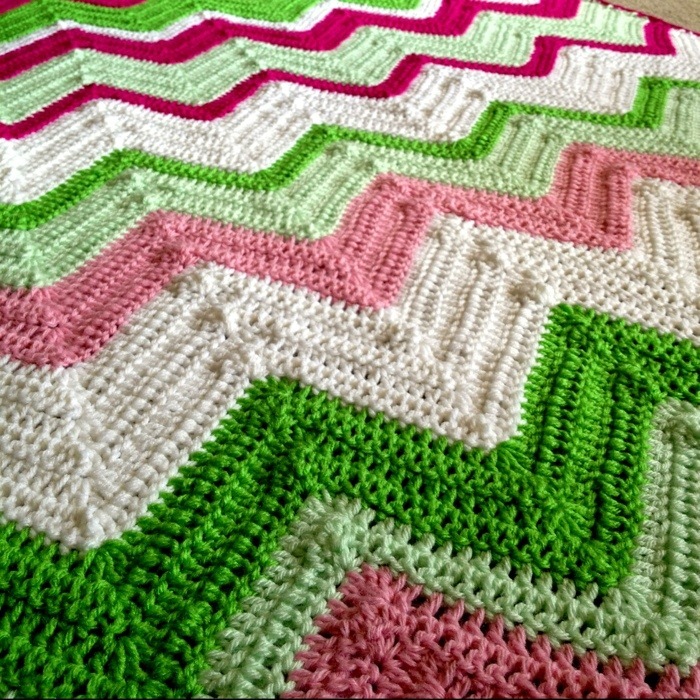 I do adore a good pink and green piece! These watermelonny shades are feeling familiar – haha! Sometimes folks ask me if I experience fatigue making a “replica” of a former piece. I definitely enjoy the creative process, even if I have made the blanket before. The only thing I do love about a different and unique piece is being able to post it in my shop as a fresh design. I improve upon the construction a little bit each time, just as I’m sure you all do when you work a project over again. I made these peaks and valleys nice and steep, and I really focused on even, neat stitching to make the rippled ridges more prominent. 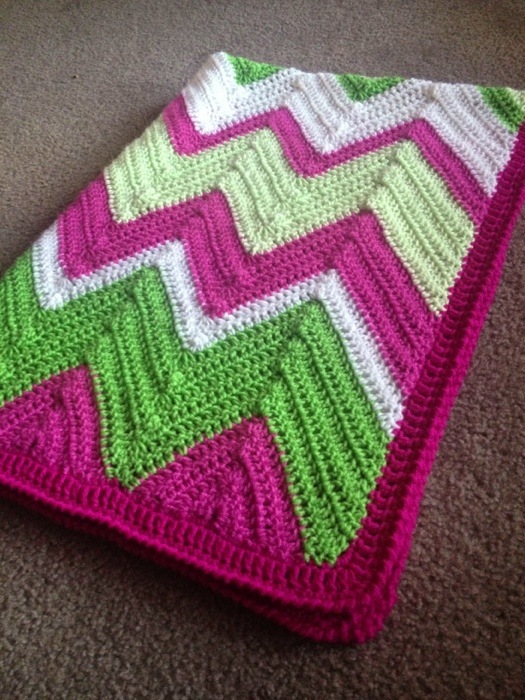 I think I enjoy Chevron2.0 so much because it’s a modern twist on the classic zig-zag blanket design. Any crochet that brings the past into the present in a fresh way is a design that I’m sure to love. 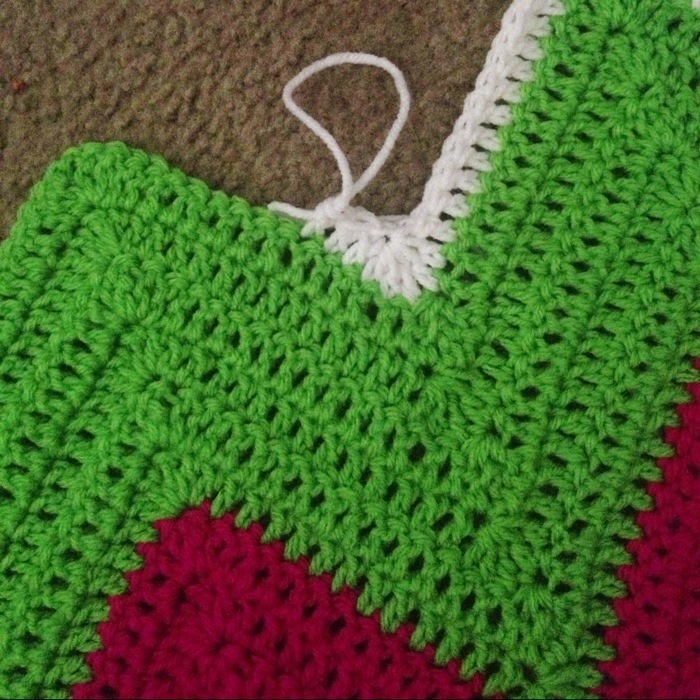 Posted in ChevronTagged Back and Forth, Crochet, Green, Pink, StripesBookmark the permalink.